Rachel Garringer lives a stone’s throw from the sheep farm where she was raised in Southern West Virginia. She attended Hampshire College in Amherst, Massachusetts, where she wrote her thesis on Gender in the West Virginia Mine Wars. She then moved to Austin, Texas, where she got a thorough education in good old fashioned country music, two stepping, and the prevalence of hipsters in America’s cities. Rachel now lives back home in West Virginia, where she works as a youth advocate, plans her dream farm, writes, and interviews people for a multi-media oral history project she founded called Country Queers. Her short stories have appeared in Still: The Journal and Appalachian Heritage. Country Queers is a multi-media story gathering project documenting the diverse experiences of rural, small town, and country LGBTQI folks in the U.S.A. The project aims to gather stories that show similarities in experiences of being queer in the country, and also how experiences of being queer in the country differ based on race, class, gender identity, age, ability and other parts of our identities. Despite mainstream views that all queer folks live in cities, or wish they could escape to a city, there are LGBTQI folks all over the U.S. facing challenges, as well as surviving and thriving in the communities where they were raised, and in chosen communities they have moved to. 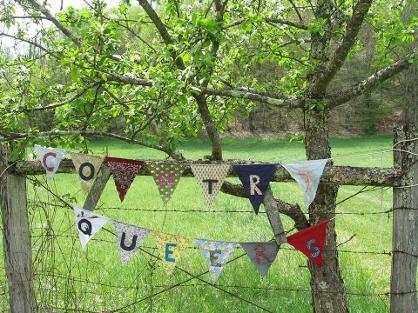 Country Queers aims to work towards filling the silence where rural queer voices should be, and helping country queers feel less isolated by enabling them to share their stories and hear stories like theirs. We recently asked Rachel about her work as an oral historian and advocate for rural people who identify as LGBTQI. Still: As an oral historian, how do you view the role of story in our society? Rachel Garringer: I strongly believe that telling and listening to one another’s stories is something that has the potential to build healthier communities and create a kinder world. I think a lot of what creates such a violent, tense, volatile society comes from people fearing one another and not seeing one another’s humanity. We focus a lot on what divides us and not on what unites us as humans. We are all doing the best we can, influenced by our past and society’s pressures on us, struggling, thriving, laughing, getting our hearts broken, giving up, aching, loving, celebrating. We have a lot more in common than not, but I think sometimes people don’t get enough real personal exposure to folks who are different from them. If you grow up hearing stories about a group of people being evil, or wrong, or dangerous, or ignorant and everyone around you and every piece of media you’ve ever seen has reinforced those ideas, how are you going to learn that stereotypes aren’t the whole story? I think having access to people’s stories—stories that make them real and human and complex—gives us the opportunity to become more compassionate and more responsible members of society. Technology has obviously changed the ways that stories are told these days quite a bit. I’m kind of an old fashioned Luddite and have tried to avoid a lot of social media stuff, but I can truly see the benefit it has had on people’s access to diverse types of information, and the way in which normal people are able to be active participants in documenting what is happening. For example, with Mike Brown’s murder, so much of what came out about the police violence in Ferguson came from individual people posting on Twitter and such, not from reporters. I think there are really incredible and useful things about telling stories in these quick new instant ways. I think this media has huge and exciting effects on people’s abilities to organize and work towards change, since so much of the media is owned by so few people in this country. But, the flip side is that I also think we’re forgetting how to sit down and really talk to one another, without distractions, and that’s too bad. Still: Is the role of story the same in rural society? RG: I think we are often a bit more tied to the past, or at least rural Appalachia is. I know more about West Virginia than other places, but technology moves slower in the mountains, it moves in slower, many people still don’t have access to the internet, or regular cell service in the mountains. I think people have traditionally spent a lot of time sitting on the porch talking about their lives, or telling old stories that were told to them by relatives. That’s something I love so much about living back home again, is how much time people still spend just sitting and talking about their lives and thoughts. Still: And in queer society? RG: In terms of the role of story in queer society, I think for a long time we didn’t get to hear stories about ourselves. Even when I was in high school in the early 2000s there was almost no visible queer presence in the media. At least not in rural West Virginia. I guess there was Ellen, or a few gay characters in the background of some shows. But I grew up without a TV in the middle of nowhere, and I didn’t know a single out gay person in the state. Even the difference between how accessible queer media was in 2003 when I went away to college and now is huge, and I’m only 29. That’s not by accident. There have been so many amazing queer historians, activists, media makers, and artists working to re-write and re-claim our past and to get our stories out into the world for decades. Many of them have risked their physical safety and lives to do this. I think we’ve made so much progress, and I think we in the queer world should pay more respect to our elders who’ve done this important work than we often do, but I think there are still huge holes in the tapestry of queer stories that are accessible to the world. It is still harder to find stories about queer people of color and queer immigrants. And obviously, I think there is a cavernous absence of rural queer stories. I’ve never heard much of anything about queer people in rural places until I started to really seek it out by starting this project. We’re all over the place, and we’re largely invisible. Even in our own communities, we remain really isolated from one another. I think sometimes we have to do that for safety, but I also feel like working towards making rural spaces safe and supportive for queer folks and for people of color and for people with diverse religions and for immigrants is the next frontier in terms of organizing. Or at least I hope it is! I think it needs to be, and I hope these stories can help play a role in that. Still: What is your own story of identity and how has that story been shaped by your ruralness? RG: I grew up on a 100 acre sheep farm way up in the Allegheny Mountains of West Virginia. I spent a lot of time alone outside. I knew the land where I was raised better than myself. I spent hours in the woods, wading in the creek, sitting in the field listening to the sheep chew grass, watching the lambs in the barn. That land has been the most consistent and important thing in my life. It was my church and my school, my home, and my place of exploration. It was everything. Now I live on the same driveway where I was raised, and I keep fighting tooth and nail to stay here even though it is an epic commute to work and town, and it is so isolated in the winter time it is like living on the moon. It really doesn’t make a lot of sense for me to live here right now, but I’m so intensely attached to that land. I left for about 10 years, and I never stopped missing it. I ached for it. But there was always this tension. Pretty much from middle school on I wanted nothing more than to leave and get out. I spent four hours a day on the bus in high school and people would snort pills, or fight, or drink or fool around. I heard more racist and homophobic language on those bus rides than I have in the rest of my life put together. I remember this kid saying, “We should put all the faggots on an island and drop a bomb on them” and everyone laughed. I didn’t know I was queer yet, I literally had only ever met one out gay couple in Massachusetts. I didn’t understand why, but I knew I needed to get away as quickly as possible. I just felt like I had to escape. So I left, but then I missed home every second of every day. I came out as queer my first year of college in Western Massachusetts. No one explicitly said “you can’t move home,” but it was so clearly assumed that queer folks lived in cities, that the country wasn’t safe for us, that no one who is actually queer would ever want to go back to a place like this. I bought into that, because I didn’t know anyone queer back home. I felt like my home and my queerness were two very separate things, like oil and water. Like I could live at home and be a farm kid and never date again, or I could live in a city and be super out and super radical and super queer everywhere all the time. Those were the only options I thought there were. It took me 10 years away to finally build up the courage to move home. There are absolutely unique struggles around being queer in rural places, and I think I have a lot of privilege that makes my experience easier than it is for others, but I do really believe that a lot of what we’re told about rural areas isn’t true, or it isn’t the only truth at least. Am I saying it is super easy to be queer in rural places? No. I don’t even know if I can make it work to live back home long term and have what I need in terms of support and opportunities for this project to grow, but I do think we all deserve to get to stay in our home communities and have them love us back as much as we love them. Staying should be just as good of an option as leaving; and for people who don’t have the privilege or ability to leave rural places even if they want to, they should be able to thrive in those places, whether they are queer or not. Rural places in general should be communities where all of us, whether we’re queer or immigrants or people of color or working class folks can live healthy and successful lives in safe and sustainable communities and environments. Still: How did your own story help get you to the place where you are now collecting other people’s stories? RG: I think so many communities’ stories have been intentionally silenced, and I truly believe that reclaiming, retelling, rewriting, and uplifting our own histories are desperately important and radical acts. I studied history in college, focusing on silenced perspectives in the West Virginia Mine Wars, and comparing the development of the coal industries in Appalachia to colonial encounters all over the world. I’ve also been active with the STAY Project (Stay Together Appalachian Youth) since moving home. STAY is a regional network of Central Appalachian Youth dedicated to working towards more inclusive communities and sustainable futures for our homes. We spend a lot of time thinking and talking about how we as young people from this region feel called to re-write the narrative of this place, to take back the story of this region from outsiders who’ve written it and helped maintain cycles of poverty and isolation here. So first and foremost my interest in history comes from my politics. I think everyday ordinary people have a lot of wisdom to give, and I think we’d be a healthier society and planet if we all worked to be better listeners. In terms of people’s personal stories: I’ve always had this urgent feeling when older folks start talking about how things used to be that I need to take notes and write it down and never forget it; this sense that history is dying every day with the ordinary people around us in our communities and families who we often don’t take the time to ask any questions. I think the people in my life have had such fascinating lives, and I think that should get recorded too, just everyday people’s stories. I lost both of my last remaining grandparents in the past 6 months. I recorded interviews with both of them last summer when I’d just bought my recorder for Country Queers and was wanting to test it out. Those recordings feel like these precious flies trapped in amber now. I think everyday ordinary people have a lot of wisdom to give, and I think we’d be a healthier society and planet if we all worked to be better listeners. Still: You’ve been posting the oral histories you’re collecting on your webpage for a year now. When did you first conceive of this project? RG: This project has really been a long time coming for me, but I didn’t realize it. I’ve been trying to figure out how to love the mountains and love my queerness and not have those things feel like contradictions ever since I came out over 10 years ago. I don’t actually remember the exact moment when I thought “I’m going to interview other rural queer folks,” but this project definitely came out of a personal need to connect to other country queers. It came from a place of feeling like I’m happier and healthier and more creative and inspired and grounded at home than I have ever been, but that I’m also very isolated from any kind of queer community. It’s not just isolation from fun queer dance parties, or dating options. It’s about being isolated from other people who have an understanding of sexuality as something that exists on a spectrum, of the gender binary as a social construct that is not the way many people on this planet experience their bodies or roles in a community. It’s about being isolated from people who get the same jokes as you. It’s about the way that there are things you don’t have to explain when you’re members of a certain community. It’s about the “nod” and the way that queer relationships often look really different than straight relationships, and timelines for when or if people “settle down” are entirely different. It’s about how queer ideas of family look really different than mainstream straight America’s ideas of family do. It’s about how for me queerness isn’t just about who I’m attracted to but is very much about my politics, my dedication to social justice, my understanding of my privilege and the responsibility that brings to use it wisely and responsibly, and an understanding of gender and sexuality as things that are very fluid. I needed and still need to find people who both understand those sort of “queer truths” but also understand the beauty and joy in addition to the challenges and struggles of rural living and who don’t make large offensive generalizations about rural areas, and specifically the South, which, unfortunately many urban queer scenes have tended to do for a long time. I first conceived of a more structured project in the early part of 2013 and I did the first interview with Laurie from Arizona in July of 2013, but it was years of this tension created by aching for home, but feeling like I couldn’t have my home and have my queerness too that birthed Country Queers. Still: You raised over $7,600 in your Kickstarter Campaign for this project. How did you get the word out to people about your plans? RG: Honestly, I’m still so shocked it worked! I really didn’t think it was going to work. Even when I started the project I thought, “no-one is going to take the time to read these.” And then with the Kickstarter I thought “no-one is going to pay me to take a road trip to meet gay country folk, this is a pipe dream.” But it worked! My friends from college who live all over the U.S. helped get the word out, as well as friends and family at home and in the region. STAY members really helped get the word out to Appalachian listservs and such. I’m also a member of (and huge admirer of) Southerners On New Ground (SONG), an organization working for queer liberation in the South across class, age, race, ability, gender, immigration status and sexuality. We’ve talked very minimally about collaborating on story gathering in the South, which I really hope to pursue, and SONG really helped spread the word about the project as well. There was definitely a little bit of the snowball effect of Facebook that happened on its own. I reached out to various organizations and individuals either looking for folks to interview or just connecting over similar work including the Two Spirit National Cultural Exchange, an awesome photojournalism project called We Are the Youth, my friend Jonah Mossbery who made a documentary about queer farmers in the U.S. called Out Here, and a band out of New York/Philly called My Gay Banjo. All of them really helped spread the word around internet-land. The thing that really pushed it over the hump though, was when Megan Kelley saw my friend Cat Moore’s Facebook post about it, and got in touch wanting to do an Upworthy post. That brought in interest from all over the U.S. and even some folks in Europe and Canada got in touch. Still: After your campaign was funded how did you network with advocacy and cultural organizations to reach people who were willing to tell their stories? What are some of the other ways you’ve found people to interview? Are people contacting you? RG: After the Upworthy post, emails just started pouring in. Several of the 32 people I interviewed on this summer’s trip got in touch with me via Facebook or email because of the Upworthy post, and many more people got in touch because they’d seen the Upworthy post from states I haven’t made it to yet. A handful of folks I interviewed this summer were also friends of friends, which continues to be a great way to find folks. I also put a lot of time and energy into reaching out to organizations, and I plan to continue to do that. 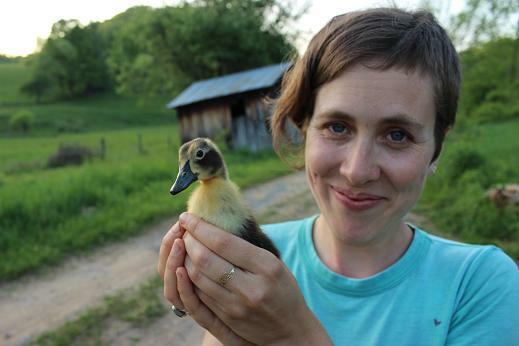 I mentioned working with SONG to try to find folks to interview in the South, and can’t wait to find the time to get out to interview some SONGbirds because there are a few I’ve been talking to already in Virginia and North Carolina who are just super smart and radical and amazing! I reached out to the Queer Undocumented Immigrant Project as well looking for folks to interview. I couldn’t find anyone in Louisiana so I reached out to a New Orleans-based organization called BreakOut which works with queer youth of color there and they had some thoughts for folks to contact in rural parts of the state. http://www.youthbreakout.org/ None of those connections turned up any interviews this summer, but if I’ve learned anything over the past year it’s that this project is just beginning and it could become a much bigger longer term project than I originally realized. I plan to continue to pursue connections with those organizations and others. It is incredibly important to me that this project includes very diverse experiences and identities. I think queerness is only one part of any of our identities, and I am firmly committed to including stories that show similarities and differences in experiences across race, class, gender identity, age, religion, ability, nationality and other parts of our identities. So far a lot more white cis-gendered women have gotten in touch than anyone else, and it has been absolutely wonderful hearing their stories, but I am dedicated to continuing to do the work reaching out to organizations and communities in order to include stories of people of color, immigrants, working class folks, genderqueer folks, trans folks, and so on, and to finding folks who this project hasn’t made it to yet because they are so isolated. This summer was really a learning experience, as previously I’d only interviewed people that I knew or that friends put me in touch with. I learned a lot through the process, and I think specifically that the building of relationships and trust is something that just takes time, and that this project could easily turn into something much bigger than a book. I also reached out to the International Gay Rodeo Association and they gave me a press pass for the Colorado Gay Rodeo in Golden this July. That was fun! I got two great interviews there, and made some connections that I think will enable me to find more folks in the Gay Rodeo circuit all over the country in the future. The New Mexico Transgender Resource Center in Albuquerque helped spread the word, which brought in a lot of interest in New Mexico. I didn’t have time to interview everyone in New Mexico who was interested, and that is an amazing state, so maybe I’ll make it back someday. Still: You spent most of the summer collecting stories. Tell us about a couple of memorable experiences for you this summer in documenting people’s stories. RG: I had a great time visiting a couple in their late 50s/early 60s living in the Hobolochitto Swamp in Mississippi. Mason came to get me in her truck and we drove way out this muddy pot-holed road. It was hot and humid and there were mosquitos everywhere, and the thickest woods I’ve ever seen. Then we got to their house which Mason built that is up on stilts because it floods so bad during storms they have to take a boat to get out. It is this beautiful French New Orleans style house inside, with gorgeous old wooden furniture and China in the cupboards. Mason’s partner Spencer, who was born in France to a white French mother and a travelling diplomat from Guinea who she never met, and raised partially in Tahiti, would cook the most incredible meals. It was like a little paradise hiding in the swamp. New Mexico in general was kind of a highlight for me. I got some much needed time off to soak in some wild undeveloped hot springs in this creek that just poured straight down the side of a mountain, which completely blew me away. I also got to go to the Georgia O’Keefe Museum in Santa Fe which was so incredible. I interviewed Crystal in Villanueva, who used to live in Denver where she was the director of the Colorado Anti-Violence Program which works to end violence in the LGBTQ community. She moved to rural New Mexico to learn how to homestead and works at the post office in this tiny town now. She spoke eloquently about what she sees as unique gifts that rural communities have that urban communities sometimes don’t, things she would carry back to the city with her if she goes, which I think her “outside” perspective gave her the ability to do. She’s also living with a close friend who is a single mom, so it was cool to see this sort of alternative family model. I interviewed some of her neighbors there too, Shelley and Martha who were really interesting: specifically Martha’s stories about her father who was a nationally known Baptist preacher, but who never batted an eye about her being a Lesbian. I interviewed a writer in Pecos, named Twig. He made me an amazing breakfast and his interview was interesting as well because he organized and produced an event called the Queer Country Roadshow, so he spends a lot of time thinking about rural queerness. He also answered the question “Who are some of your s/heroes?” by listing some authors I also really love, including Dorothy Allison, and it was fun to have a little writing conversation along the way. I also stayed with Rebekah and Al who run a community art space in a small town called Peñasco. They teach circus and performing arts, and Rebekah makes incredible visual arts and murals. They have two young kids, and had construction being done on their house, and were gearing up for two different youth theater camps, so just had a lot going on. But they squeezed in time for an interview, and when I had technically difficulties and lost the whole interview they just at the drop of the hat invited me to spend the night, have dinner with them and do the interview again. Still: One of the goals you’ve set for yourself is to try to indentify the similarities and differences in country queer stories. Specifically, you’ve written: “I want to know if there are joys and struggles that all rural and small town LGBTQ folks share. I want to know about how experiences of being queer and being rural differ based on race, class, gender identity, nationality, language, ability, and other parts of our identities.” So, have you found any patterns yet in the stories? RG: As for patterns in the stories I’ve heard so far, obviously everyone’s individual experiences are very personal, but there are some common themes. Some of them seem silly, like everyone I’ve interviewed cannot stand being stuck in traffic, and has this visceral cringe when they think of cities at rush hour. Also I think everyone experiences some sense of isolation, whether they enjoy that or not, from other queers, but also just from other people in general. That’s part of rural life. No one has any idea how you are supposed to date as a queer person in a rural area. Most of the folks I interviewed so far are either partnered, or live close to a big city and go there to meet people and hang out with queer folks. I think a pattern in rural areas in general is that there are a lot of people 18 and younger, and 50 and older, and there is an absence of people in their 20s and 30s in rural communities often. So that makes it more challenging for folks in that age range to find the support they need. And I think that everyone faces certain challenges that are unique to rural places. Everyone seems to be aware of what they don’t have access to by living in a rural place, but something about country life matters more to them than having access to gay bars or being able to hold their partner’s hand while they walk down the street. Or they don’t have the privilege of choosing to leave the place they’re from, and so they have to create a life for themselves in their home that looks different than the queer lives they see in the media. I think sometimes in cities people can tend to only do queer things: queer bars, parties, friends, businesses, movies, bands, and in rural places you don’t have that choice. I think for almost everyone I interviewed there was a sense that being queer is just once piece of their life, no more or less important than their identity as a farmer, or a carpenter, or a snow-cone stand owner, or a mother, or an uncle, or a hair stylist, or a horse trainer, or a good cook. I think that is a difference in how people’s relationship to their queerness shows up differently in rural and urban spaces. In urban spaces it can take up much more space and be much more visible, and in rural areas it often can’t, but many people living in rural areas are really happy with their queerness not being the most important part of their life from what I can tell. At the same time a lot of us wish we didn’t have to hide it. So there seems to be a common feeling of “I could never live in a city, and I’m so glad I live here” and some “I wish this was a little easier to do” happening at the same time for a lot of us. Still: And what do you want to do with those patterns after the project is finished? RG: The “finished product” is kind of evolving for me. I launched the Kickstarter campaign with this idea that I wanted to gather stories and photos in every state, post them on the website for people to read, and once they are all gathered make a beautiful book. I still want to do all of that. But, I think this past year of the project has really made me think about this project differently. The trip gave me more questions about the future of Country Queers. I think there is a hunger to connect, to organize, to network, to learn from each other, to meet each other, to start working towards changes in small rural communities where we live. That seems to be common among many of the people I’ve interviewed. Other folks I am connected to personally and politically are also thinking and talking a lot about rural queer organizing and change. Jonah of the Queer Farmer Film Project, and the documentary Out Here has expressed that in his time touring with the film he’s noticed this need among rural queers to connect and we’ve wondered what that looks like. SONG has been around for 20 years doing amazing work, and just in the past year have said very clearly that they plan to start intentionally organizing in rural communities. STAY has been hosting an annual Fabulachian Gathering for Change for a couple years now, and I think there are lots of ideas about what the next step is to expand that work in the region. The USDA has launched this whole national RuralPride LGBT summit tour talking about their dedication to supporting the rural LGBT community. I think I sort of had this crazy idea and decided to try it, and it ended up being sort of “the perfect time” when a lot of other people are thinking about this too. What if young people, queer or not, got to stay in our home communities and thrive there? What if we didn’t feel like we had to escape to find more opportunities? What if we got to make our own media even if we don’t have access to a lot of resources and programs in cities? I’m interested in figuring out how to get more people involved in the project, not just as interviewees, but potentially as interviewers and media makers. I’d like it to grow from just me who’s in way over my head to something much more collaborative that more people get to be an active part in, and ideally a way for country queers to get to do work that they really care about in rural places. Usually if you’re going to get to have a “queer job” you have to live in a city. Even if you just want to have a more humanities-based, historical research, media-type job you often don’t have a lot of options in rural places. What if we could make our own dream jobs in rural places? What if young people, queer or not, got to stay in our home communities and thrive there? What if we didn’t feel like we had to escape to find more opportunities? What if we got to make our own media even if we don’t have access to a lot of resources and programs in cities? I think there will be a Country Queers book someday, but I also want to think about all of these other ideas moving forward. Still: Have you set an end-date for the project yet? Can people still donate to the project via Kickstarter? RG: As I mentioned earlier, if I’ve learned anything in the past year with this project it is that it could grow exponentially. I also learned on this trip that if I don’t want to get completely burned out I need to slow this project way down. The trip was absolutely amazing this summer but it was grueling too. The plan is still to gather stories in every state, and I think it is going to be years before that happens. I’m researching applying to grants, talking to a lot of people about using the audio and photos for some digital storytelling online, and thinking a lot about bringing some more people on board to help, as well as how can I create a life for myself where I have more time and energy to give this project because I think it deserves it. The Kickstarter has ended, but people can absolutely still donate to the project via the website! I’ve only made it to 13 states; there are so many to go! People can donate at the Country Queers website. Still: We saw you in the summer of 2013 when you attended the Hindman Settlement School Appalachian Writers Workshop. Besides the oral histories, what have you been writing? RG: I do always have a handful of stories in various stages that I’m always picking up little details for throughout my daily life. I never know which ones will come to life and which won’t, but there are all sorts of pieces in the works. It’s a priority of mine to figure out a better balance, so that I have time to write, and do Country Queers, and so I can still make a living without getting totally burned out. I’m not there yet, but it’s been an exciting first year for what started as a small idea when I was snowed in by my woodstove in a little old house in West Virginia.